Moist (at least in the spring) swales in sandy jack pine stands; very local and endemic to Michigan. 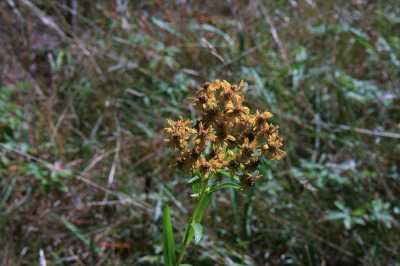 This is a unique octoploid, resembling a large S. houghtonii and also involving S. ptarmicoides as one ancestor, but occurring in a unique habitat and with a distribution not linked to present (and immediately past) Great Lakes shorelines. Both plants and heads are larger than in S. houghtonii. 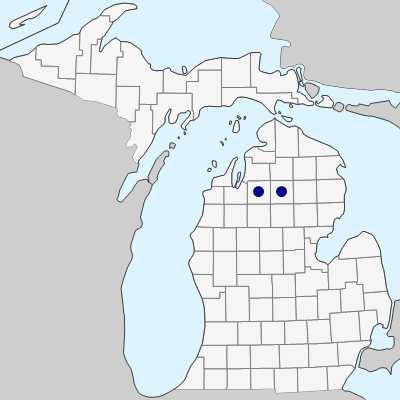 See Laureto & Pringle (2010) for details of this striking Michigan endemic. MICHIGAN FLORA ONLINE. A. A. Reznicek, E. G. Voss, & B. S. Walters. February 2011. University of Michigan. Web. April 19, 2019. https://michiganflora.net/species.aspx?id=2874.